VATICAN CITY — Catholics should not try to convert Jews and should work with them to fight anti-Semitism, the Vatican said on Thursday in a major new document that drew the Church further away from strained relations of the past. "The Church is therefore obliged to view evangelization to Jews, who believe in the one God, in a different manner from that to people of other religions and world views," it said. It also said Catholics should be particularly sensitive to the significance to Jews of the Shoah, the Hebrew word for the Holocaust, and pledged "to do all that is possible with our Jewish friends to repel anti-Semitic tendencies." "A Christian can never be an anti-Semite, especially because of the Jewish roots of Christianity," it said. 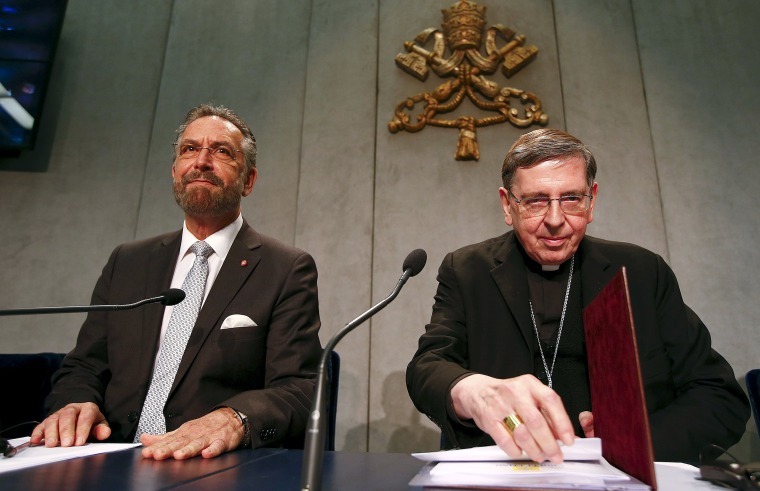 The document coincided with the 50th anniversary of a revolutionary Vatican statement that repudiated the concept of collective Jewish guilt for Jesus' death and launched a theological dialogue that traditionalists have rejected. They feel there should be a so-called "Jewish mission" to convert Jews because they did not accept Jesus as the Messiah, and were therefore bound to be displeased by the new official stance on conversion, a senior Vatican official said. "In concrete terms this means that the Catholic Church neither conducts nor supports any specific institutional mission work directed towards Jews," said the document, adding that there was a "principled rejection of an institutional Jewish mission." Dr. David Kessler, director of the Woolf Institute for the study of inter-religious relations in Cambridge, said much education of the young had to be done to dispel the notion that Christianity had "replaced and substituted" Judaism. Until about 1960, prayers at Catholic Masses on Good Friday, the day commemorating the death of Jesus, labeled Jews "perfidious" and called for their conversion. That prayer was eliminated from general use after the 1962-1965 Second Vatican Council introduced a new missal, or prayer book used at Masses. In 2008, then-Pope Benedict further reformulated the prayer used by the traditionalists to remove language that Jewish groups found offensive, such as "the blindness of that people." Thursday's document said Catholics should "bear witness to their faith in Jesus Christ also to Jews" but that they should do so in "a humble and sensitive manner, acknowledging that Jews are bearers of God's word..."